I am taking the pick of one street, one film and one day. 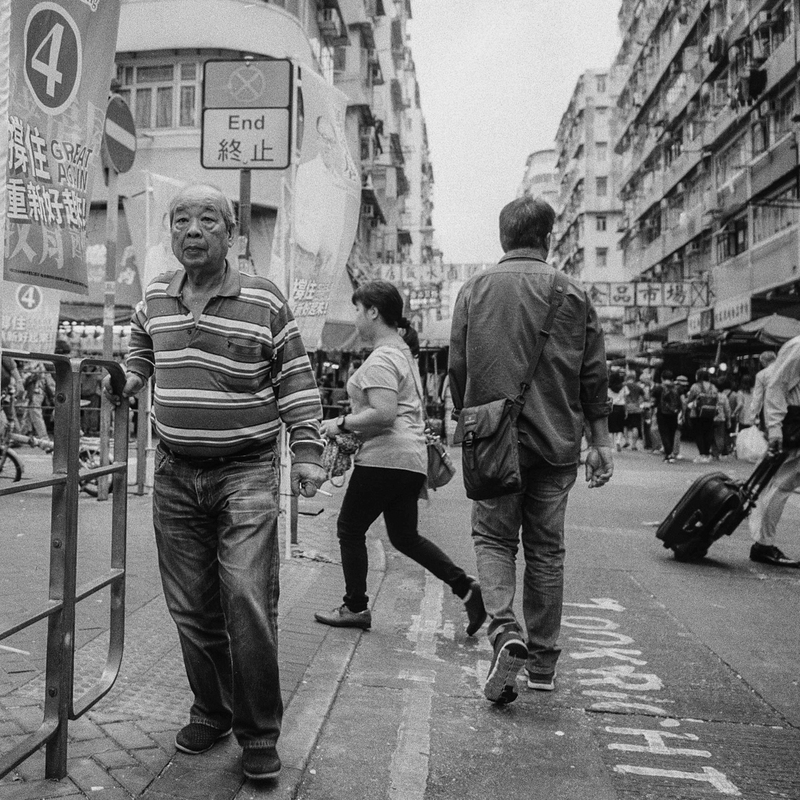 So out I go to Hong Kong's Sham Shui Po district with Lomography Black and White film and my Hasselblad 500. Twelve images to take. What to do with them? Sometimes the creative spark is done best when under pressure. Deadlines and restrictions might sparkle different thinking. Having only twelve images mostly the part what to take we are more critical what image to make. On top of this restriction are the financial consequences of creating pictures. This kind of assignment is designed to make me think about the frame I make to build my creative capital into my photography. Going this way and carry along this philosophy into the digital world something worthwhile is already achieved. The area I choose was more than ideal. It is one of the lively with lots going on and with plenty of variation in background and subject matter. So even when thinking that every image should count it was a race against time to finish everything in a day.